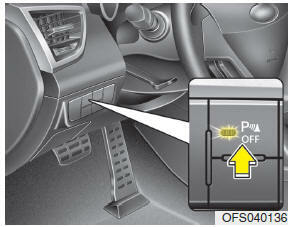 This system will activate when backing up with the ignition switch ON. 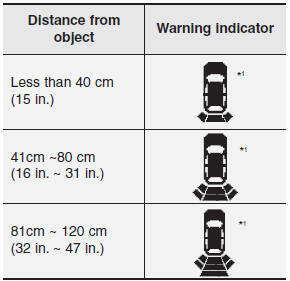 If the vehicle is moving at a speed over 5 km/h (3 mph), the system may not be activated correctly. When an object is within 40 cm (15 in.) of the rear bumper: Buzzer sounds continuously. ❈ In case the object is between or close to the sensors, the indicator could be different.